(QCOSTARICA) Shopping online is a practical way of getting the things you want, things that can’t be found or are just too expensive in Costa Rica. Though online shopping is an everyday thing now, the volume of purchases increased during year-end. It is important to keep in mind that simply choosing the item and checking out is only the beginning of the process of getting your purchase in your hands in Costa Rica. A process that can become a nightmare (calvario in Spanish) without the regard for the import rules and process of your online purchase. The Ministerio de Hacienda (Ministry of Finance) warns buyers of using companies that provide package import services, but without their authorization, which could result in delayes and even seizure. This year alone Hacienda reports the seizure of some 27 tons of products entering the country with “some irregularity”. 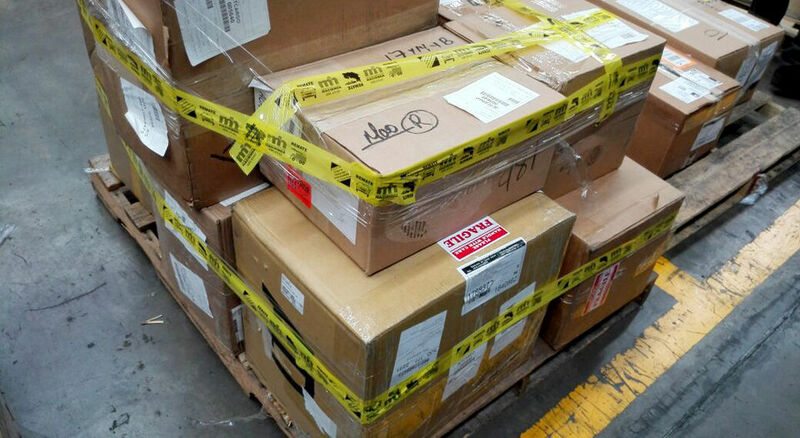 These packages now sit in a tax warehouse, pending formalization by the delivery companies that brought them in. Among the irregularities are the non-payment of taxes and not having health permits. All online purchases are subject to sales and unless exempt, to customs duties. To avoid problems, Hacienda has provided a list of 46 companies “authorized” by them (as of November 3, 2016). American Trailer Express Incorporated, S. A.
DHL (Costa Rica) S. A.
DHL Customs (Costa Rica) S. A.
Servicios Internacionales de Carga S. A.
Despachos Rápidos Costa Rica DERCO S. A.
Sociedad Apícola Costarricense S. A.
Operaciones Aduaneras Rápidas S. A.
Agencia Aduanal SAMESA S. A.
Dinámica Agencia de Aduanas S. A.
Transportes Logísticos HA S. A.
GEM Grupo Expreso Munidal S. A.
UPS de San José S. A.
Corporación de Servicios Integrados Roka S. A. Star Box de Costa Rica S. A.
Compañía del AtlánticoVenegas Arias S. A.
Carga Urgente de Costa Rica S. A.
Logística de Transportes Lotrasa S. A.
Importadora tica I y T S. A. Red Logistic International S. A.
American Export Import and Puchasing S. A.
America Global Logistics CR S. A.
CPS Soluciones Logísticas y de Transporte S. A.
Liberty Express Corporate VC S. A.
Grupo de Logística Zaro S. A. International CR FT Service S. A. Smart Courier C.R. S. A. Easy Box Five Zero Six of Costa Rica S. A.
Grupo Logístico Yaslin S. A. Next articleSalsa Lizano, Costa Rica’s Favorite Sauce.